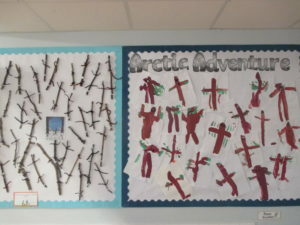 Early Years topic this term is ‘Arctic Adventure’. 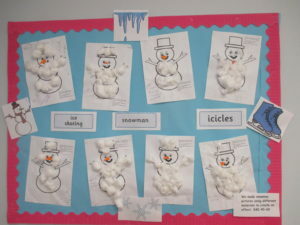 The children are learning about life in the ‘frozen world’. 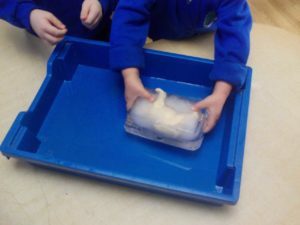 They have been experimenting with ice – a plastic polar bear and penguin were frozen in ice and the children took turns to contribute ideas how to melt the ice to free them. 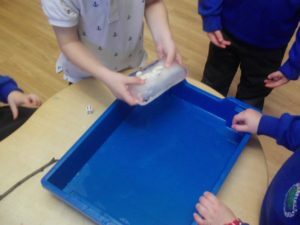 The children suggested putting the ice block in the sun, using a hairdryer, breaking the ice or putting it on the radiator. They all had a play with the frozen polar bear and penguin until the ice melted and they were freed.